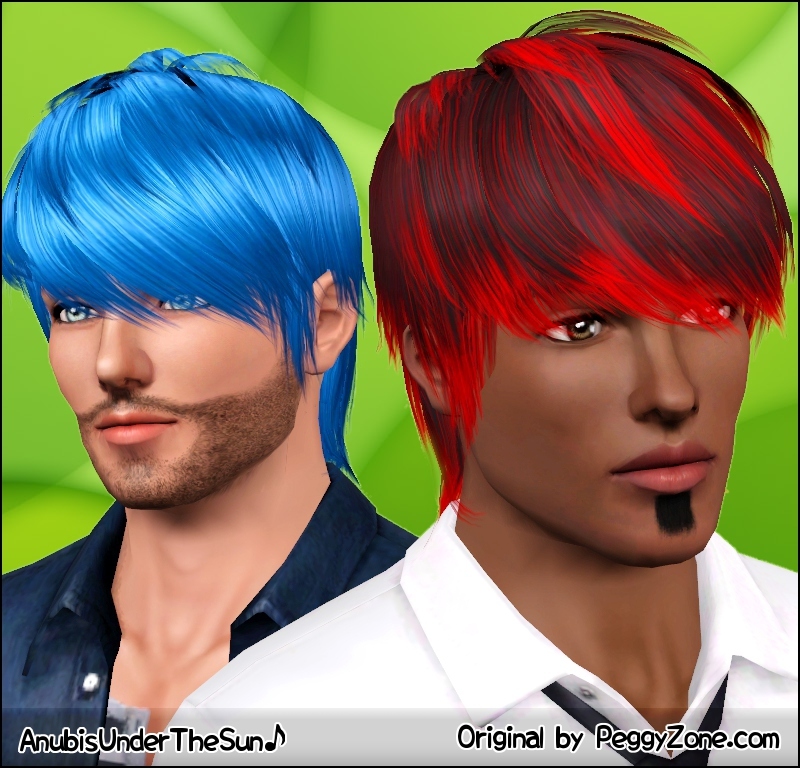 - This hair works for male teens, young adults, adults and elders. - The polycount is good. Around 8000+ polys for HQ and around 5000+ polys for LQ. - Both sims3pack and package formats available. I Don't Take Any Credit For The Mesh Itself. Please, don't redistribute. Give me credit or link back here. 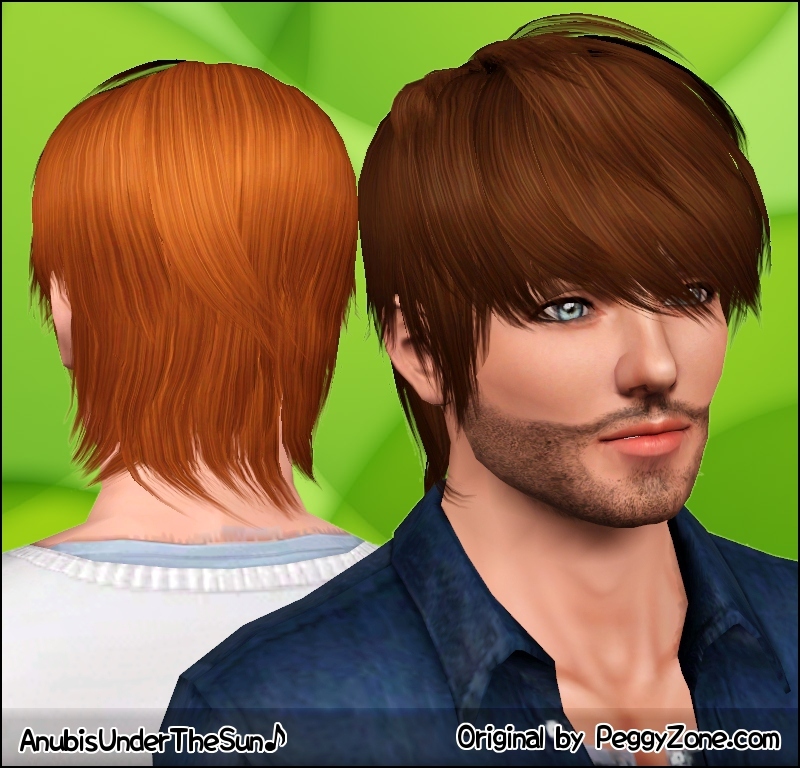 Feel free to retexture this hair! i Likeee thee hair is cute!! oh please, please, pleasee put your asian sim up for download! he is so good-looking! Nubie, someone has stolen your work! ^that's not Nubie's work !! 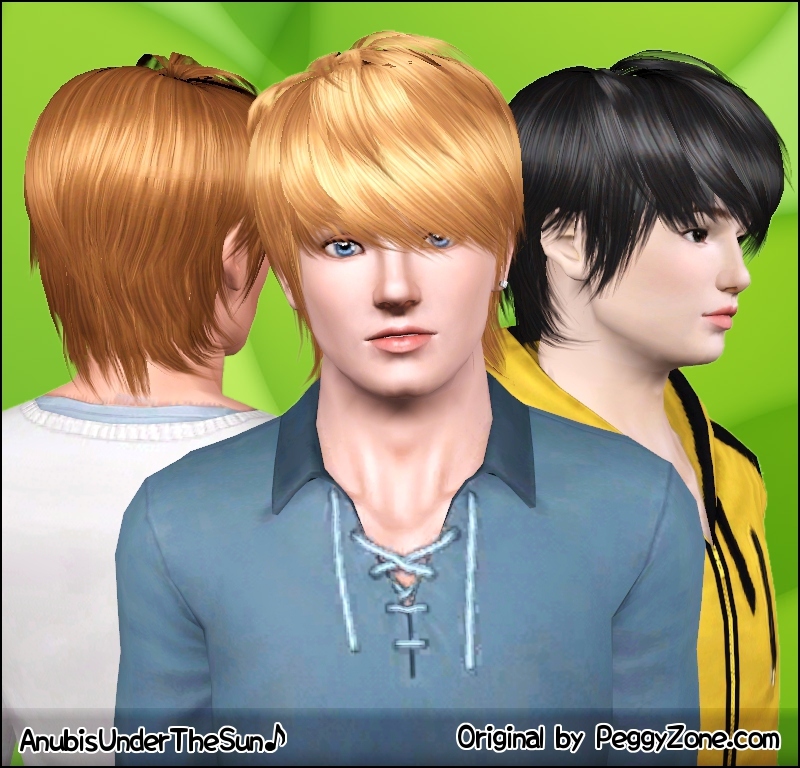 I agree with everyone love the hair and the Asian Sim!! Lovely hair! 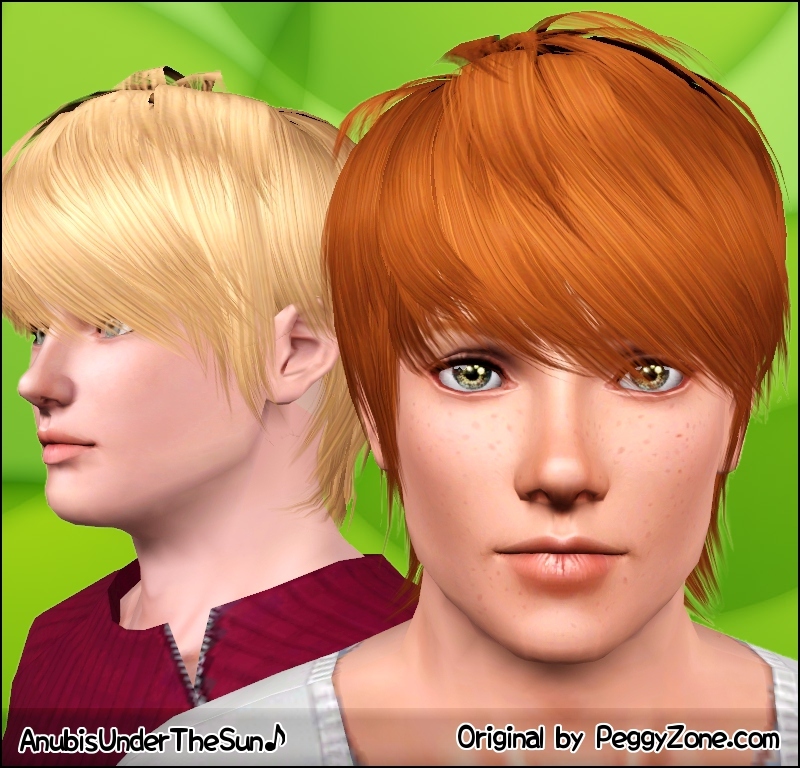 And I really like the sim with brown hair in the second picture. Here's a question though, where can I get the top the redhead in your header (HiKari, I think) is wearing? It's really cute! @Ida: That top is from The Sims 3 Outdoor Living Stuff Pack. 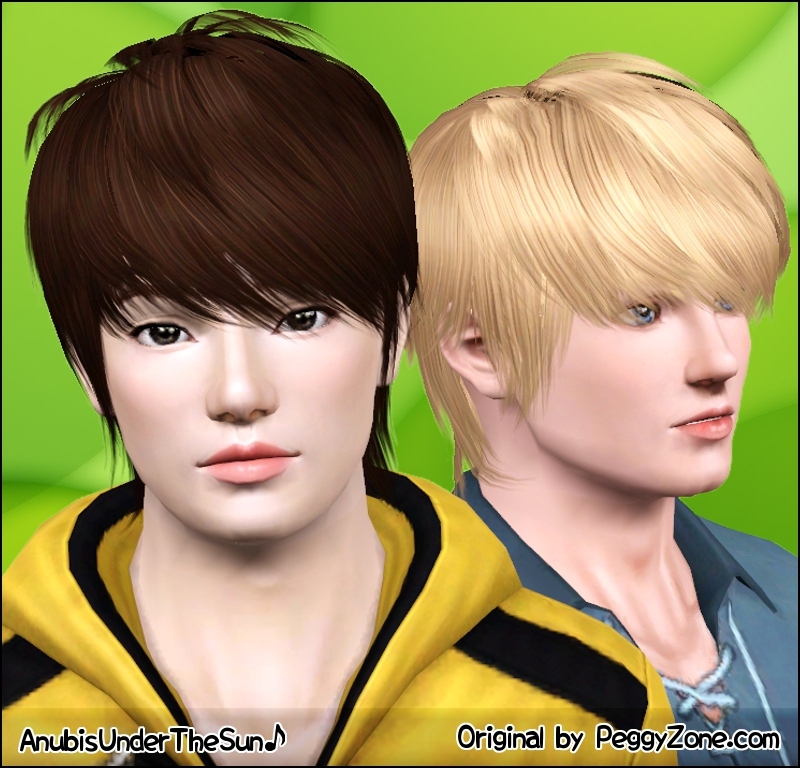 Can you upload your Asian Sim please!! I know you said not to post requests but i think this will be a good one. Anto Flower Headband ~ New version!